Michelle brings great joy to her practice. She began yoga in 2001 and completed a 400 hour, year long, training with Sara Azarius. 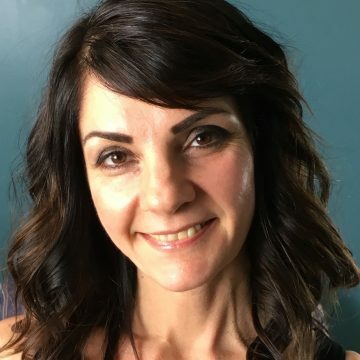 Michelle is a Certified iRest Yoga Nidra teacher and has also completed training with “Warriors at Ease: Bringing the power of mind-body healing with yoga to military communities”. She has also attained certification as a Reiki Master. The mindfulness challenge of the Iyengar classroom, to be grounded in the present moment of the body while in an interactive group environment, is one of the many reasons she loves the method so much. “I used to have a sore knot in my left shoulder. I’ve had many massages and nothing seemed to work. Since practicing yoga with Michelle I no longer have the knot in my shoulder, No more pain. 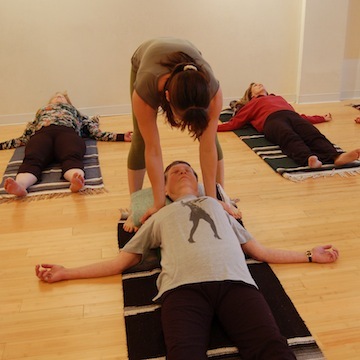 “I have found the practice of iRest Yoga Nidra to be a deeply restful experience. It has equipped me with many tools for monitoring and managing the stress that comes with daily life. I’ve found Michelle’s instruction to be clear, easy to understand, and soothing” -Bob L.